There are few places that feel destined to be exactly where they are – the Four Seasons in Santa Barbara is one of them. 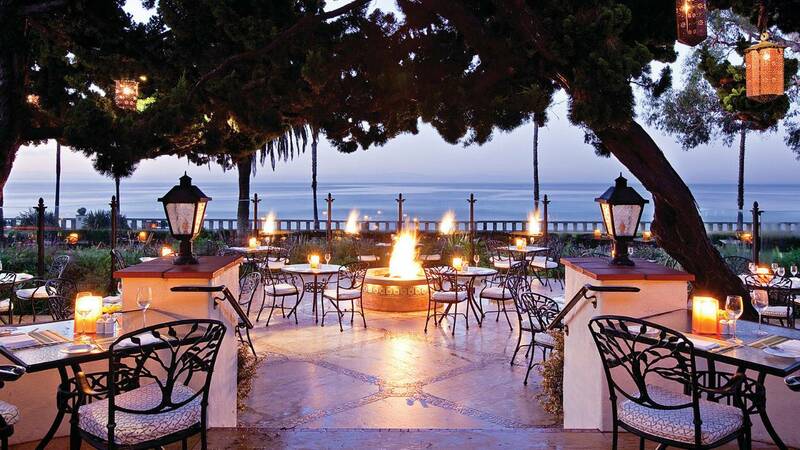 Situated just yards from Montecito’s dog-friendly Butterfly Beach, with consummate views of the Pacific Ocean and the Channel Islands lining the horizon, the Four Seasons Resort, The Biltmore, Santa Barbara (its lengthy official title) is classic Santa Barbara. Built in 1927, the original coffered ceilings and saltillo floor tile in the lobby reflect the Spanish Colonial Revival design that was all the rage in the later 1920s. Period furnishings (some from the original property, some not) fill the spacious lobby. 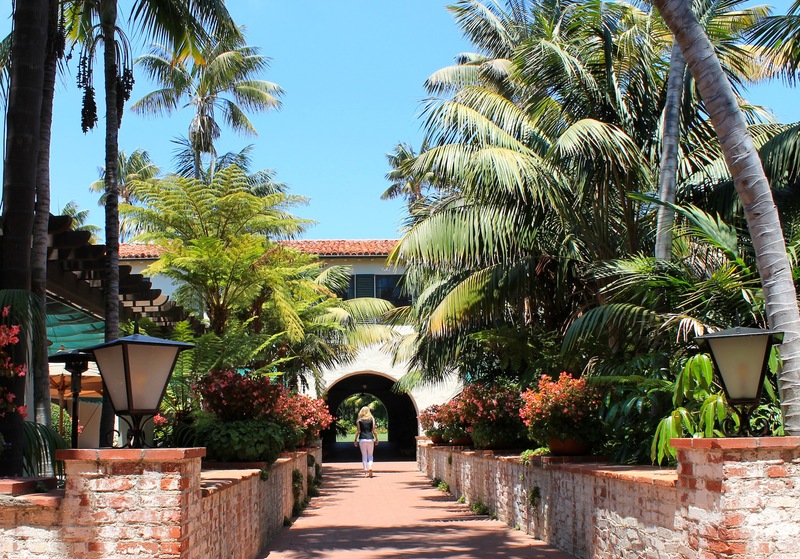 The Four Seasons is a gracious Spanish hacienda, with red bougainvillea vines scaling white walls, red tiled roofs, and colorful Mexican tiles, exactly what the perception of Santa Barbara is to most people. As you should rightly expect, there are a plenty of amenities, including lighted tennis courts with a tennis pro and a spa with state of the art workout room. But perhaps the most prized is the next-door Coral Casino: A private cabana and beach club with an Olympic size pool within yards of the beach and one of Santa Barbara’s most exclusive restaurants, Tydes, named after owner, Beanie Baby king Ty Warner. Access is available to guests who book Premier and Executive rooms at the Four Seasons, allowing them use of the pool and cabanas. Otherwise, if you book Superior or Deluxe accommodations, access to the Coral Casino is $200 per day. However, dinner and lunch at Tydes are available to all guests of the hotel and a visit here is a must. Though there is a limited menu, the food is superb and may range from east coast diver scallops with mushroom ragu, to braised Kurobuta pork with black vinegar caramel reduction sauce and petit kale salad. The Ty Lounge, located adjacent to the hotel lobby, opens at 3 p.m. each day, with live piano music on Friday and Saturday nights, and Wednesday is Spanish music night. Its onyx back bar lit from behind looks like a glorious wall of butterscotch, and this low key gathering spot has patio access with views to the Pacific Ocean. The hotel’s Bella Vista restaurant, serving lunch and dinner, has an emphasis on Italian nuances from Chef Alessandro Cartumini, with a preponderance of ingredients sourced locally. In addition to all that, the Four Seasons offers something rare for Santa Barbara, a proper Afternoon Tea, served on Friday and Saturdays, which has been ongoing since 1987 and includes two courses; the first course of finger sandwiches and the second an assortment of pastries, scones and other decadent goodies. Of course, tea is the mainstay and there are a dozen teas to choose from, including standards ranging from Earl Grey to peppermint herbal, and Japanese sencha. You can upgrade to the Montecito Tea, which adds a glass of sherry, or the Royal Tea, which adds a glass of Champagne or Kir Royale. Ranging from 350 to 2,000 square feet, all of the rooms have hand stenciling around the entrance, a throwback to an earlier time. Suites have self-heating floors and each room is different in terms of décor and color. But thematically, they all stay true to simple clean furnishings, a basic color palate and open floor plans; there is nothing ostentatious. Rooms also have deep soaking tubs and water spigots on the side of the tub, not the end, making it easier for actual lounging in them. There are 12 cottages which all have wood floors, including the Ty Warner Cottage. Also known as the Presidential Suite, this building was once the home of the former owner. The suite has a huge living area, second only to the back patio, with a newly built plunge pool capable of holding 12 people. All mattresses were made specifically for the Four Seasons and the mattress tops are interchangeable. Therefore, you can request plush or firm depending on your preference. Of the 207 rooms and suites, only 11 are ocean-view. I was curious as to why a hotel like this would have so few rooms facing the property’s best asset – proximity to the ocean. The answer was that “back in the day” (we tend to forget there was a time before TVs and smartphones), people gathered in hotel lobbies for games, conversation and social interaction. Therefore, there was an emphasis on the lobby being one of the most important aspects of the hotel. Views to the beach, just a few steps away, were much less important in the 1920s than they are today. Regardless, the beach is just across the street. 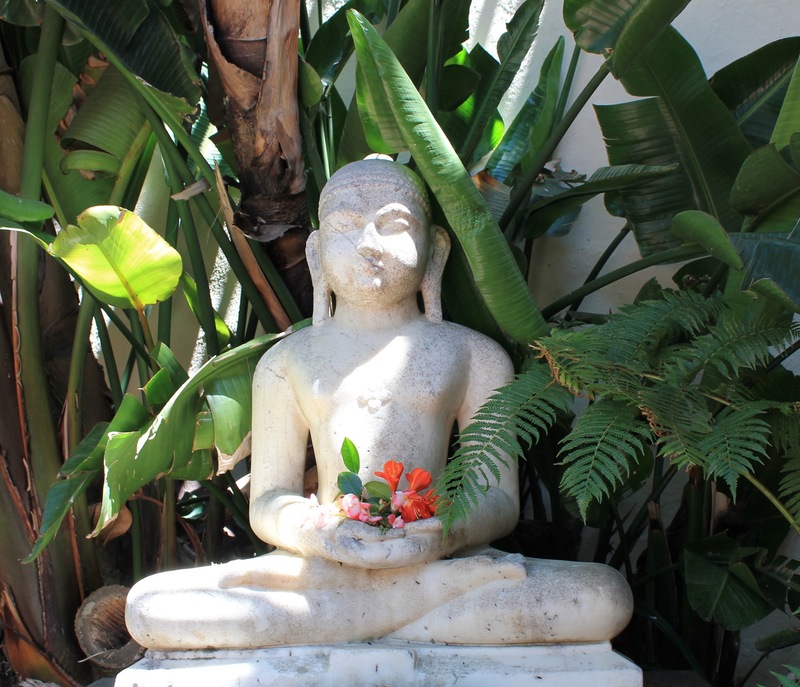 The hotel’s 22 acres are filled with 2,000 different species of lush tropical plants and palms, including diverse trees like the pigmy date palm, Australian coral tree, Mexican weeping bamboo, and African tulip tree. An hour-long free garden tour is offered every Tuesday morning and you needn’t be a guest of the hotel to join the tour. The Monte Vista lawn, located in the back of the property, offers a small putting green and separate croquet lawn. It was the setting for TVs “The Bachelor” wedding in early 2014. The Four Seasons opened its Spa in 2002, though the building itself for the Spa was built in the 1970s. Careful attention was given to making it feel seamless with the rest of the historic property. Its soft, comfortable and subdued interiors were designed by Peter Marino, whom Architectural Digest listed as one of the top 100 best interior designers for 2014. The Spa is as comfortable and relaxing as its beach-side location. There are beach cruisers for families available for rent, 11 treatment rooms, and an on-site trainer upon request. The gym portion of the Spa was outfitted in 2014 with state of the art Technogym treadmills, allowing guests to upload any exercise apps they may already have on their smart phone. This way, they don’t miss a scheduled workout. The equipment includes air conditioning units and touch screens, so guests can exercise in specific places filmed on location, such as San Francisco. There are free weights and you can schedule private yoga or Pilates classes as well. For a pre or post spa respite, the garden by the entrance with its three-tiered fountain with views to the beach is perfect. Begin your Spa treatment in the Relaxation Lounge, a second floor quiet room, that offers dried fruits and nuts, a fireplace in the corner and ocean views visible from plush comfortable chairs. Treatment rooms with clear maple wood flooring are designed for singles, though there are also couples suites. Four of the treatment rooms are master suites, with an outdoor patio and views to the ocean, a Jacuzzi tub and two massage tables. You can have in-room massages and nail services if you prefer the comfort of your own accommodations, and Champagne can be incorporated into any service. Locker rooms include dry saunas and separate steam rooms with mist that is infused with menthol, which is strong but not potent and helps clear sinuses. Showers in the locker rooms, as in all of the Spa, have rain bars, allowing you to get only your body wet, rather than your hair and face, and rain heads if you prefer the full deluge. It’s no surprise that you can get almost anything you want, from massages including stone work, Swedish, and maternity massage, to facials. One of the most popular treatments is the Grape De Vine scrub, using grape seed directly from Santa Barbara wine country. Since the Four Seasons is pet-friendly, it offers in-room dog massage so Fido can feel frisky too. The Spa offers three outdoor pools, all flanked by lush vegetation, including a main pool that is heated to 86 degrees and is outfitted with an underwater sound system. There are also two smaller whirlpools, and one is filled with mineral water drawn from the property itself, heated to 104 degrees. The other small pool, ideal for kids, uses non-well water and is heated to 94 degrees. During summer months, there is poolside service, including treats from Santa Barbara’s oldest ice cream shop, McConnell’s. 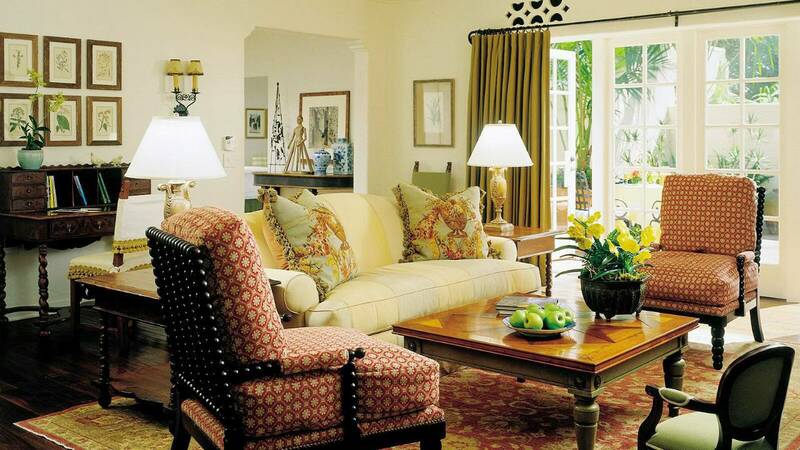 A visit to Santa Barbara’s Four Seasons is a step back in time, with its historic property, flush with modern amenities. Such an experience represents an ideal way to visit this coastal town. Photography courtesy of Four Seasons.